When you go to the library or the bookstore, you get the power of words on pages. Take a seat on this bus for a few minutes with Newbery Award winner, Matt de la Pena. 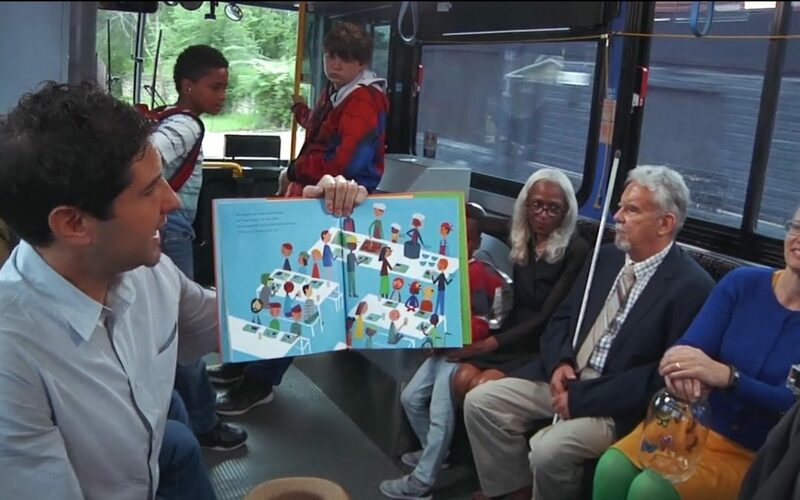 The Kansas City Library worked with him to re-create the story of his picture book, LAST STOP ON MARKET STREET, to the wonder of school children from a local school. What can we say to thank Matt de la Pena not only for caring so deeply but for dedicating his talents and his time to reach to and lift high so many children who need a hero. Congratulations to the Kansas City librarians! What a great way to ring in 2017 amidst the nonsense all around us.